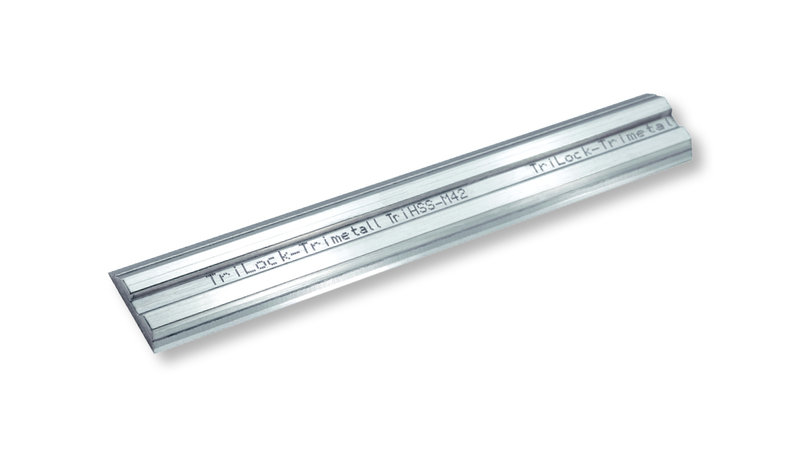 Our TriLock® turnblades are manufactured in the Trimetall Technology. They comprise three parts (sandwich-type), wherein only the centre part is soft and flexible. Both cutting edges however consist of ultra-hardened HSS-M42 material (24 %). The cutting edges are furnished with a mirror/polish-ground cutting edge and a polished counter-ground cutting edge, which leads to significantly better planing results and a longer life. We also supply planer cutter heads for the CENTROLOCK SYSTEM.